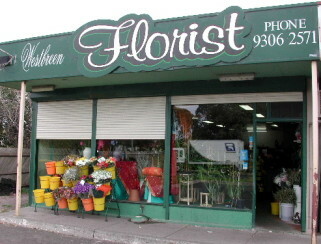 RS3 Window Roller Shutters provide excellent security at night when your business is closed and by day they roll up into a slimline box so as to be totally invisible. 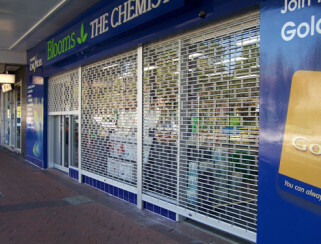 With our Commercial Security Shutters, Sydney business properties are fully protected. 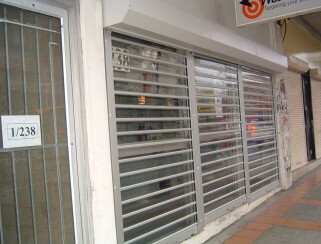 This shutter system offers maximum security at night and is invisible by day, with slotted holes for see-through visibility, ventilation and temperature control. The RS5, RS5 High Density, RS6 and RS6 High Density Roller Shutters enable you to cover larger openings in one piece, whilst providing maximum security. 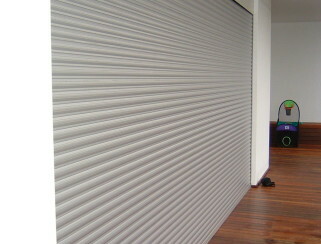 Due to their size and capacity, this line is commonly utilised as external shutters, external window shutters and outdoor shutters for commercial and industrial applications. 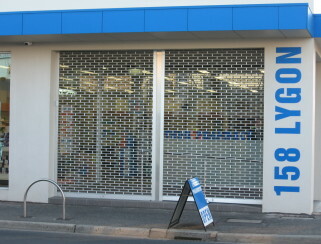 Our Commercial Roller Shutters are trusted by household retail names across Australia. 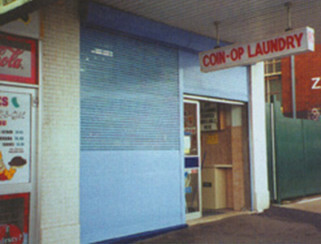 This product line is most commonly used as shop front roller shutter systems in shopping centres where through-visibility is of paramount importance. Our Aluminium Roller Grilles are ideal for securing bars, reception areas, counter tops, shopfronts, arcade openings, alcoves and food service areas. The RS9 Rolling Security Grille is an all-aluminium high-security barrier which offers security, maximum airflow and visibility all in one product. Compared to other roller door grilles, this security system offers unbeatable strength and durability, discreet security, easy control and attractive finishes to suit your business style and needs.